Leaks can occur at any point in a system and often are very tricky to troubleshoot because the place where the problems present themselves can be a long way from the source. Knowing when and where to open a wall and doing it with minimal damage and expense is almost an art form. Plumbing systems have many moving parts and valves are one of them. Valves get broken – in every system – usually just from years of use. Sometimes replacement is the only remedy and that can be expensive. Seeing a plumber in your home is never wonderful experience. That’s because said plumber visit is usually when something is going wrong. Plumbing systems are either very simple or complex. 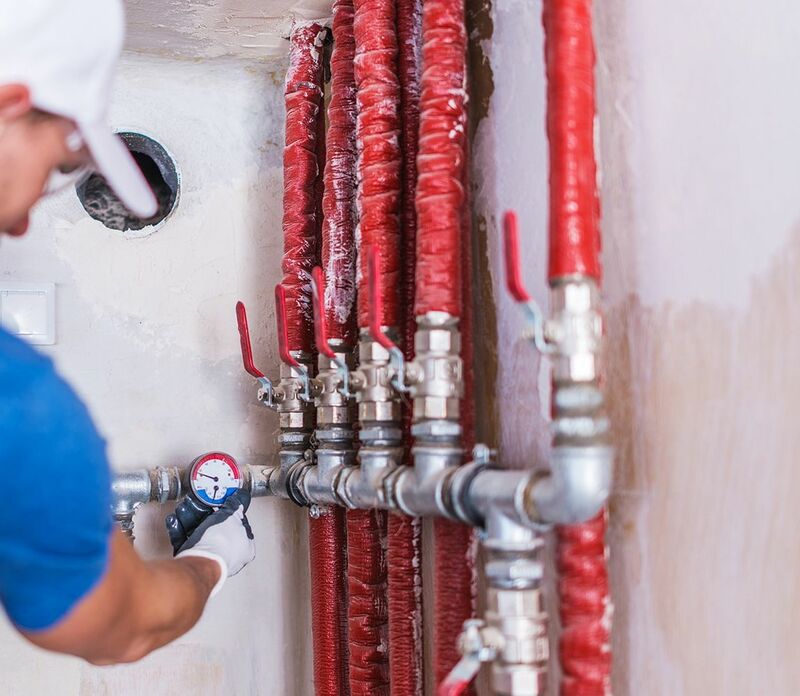 Add to the fact that so much of your plumbing is invisible–behind walls, between floors, and in the basement— its always very complex to repair, and it’s easy to see why it’s important to call DecorBayt.com experts whenever trouble strikes. We’re all very familiar with the common plumbing installation and repairs of faucets and shower bodies, leaking pipes beneath the kitchen sink, and the common running toilet. But, attached to these common household fixtures which are buried in the walls, are separate piping systems for Hot and cold water systems, Drainage, and the most important is Ventilation System-without which drainage doesnt flow properly. DecorBayt Plumbers specializes in the repair and maintenance of all these invisible systems. One happy client once referred to us as "The Plumbing Angel".